South Facing Roof Area or Bust? Will Panels Harm my Roof? In a battery back-up system, the residence is completely off the public grid, meaning the main supply of electricity comes from solar. 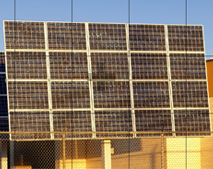 During the day when the solar system is in production it supplies power to the residence and the battery-bank. The batteries are kept charged until the night comes, when the solar system is not in production. There are no batteries to store excess power generated--the electric utility essentially stores it for you through a system called "net-metering." DC (direct current) generated by the PV panels is converted into AC (alternating current) power by the inverter (exactly the same high quality AC current delivered to your site by the utility-provided power grid). 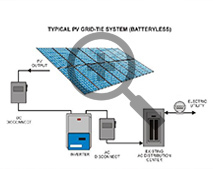 Output from the inverter is connected to your existing distribution panel (breaker panel) which feeds the rest of your site. 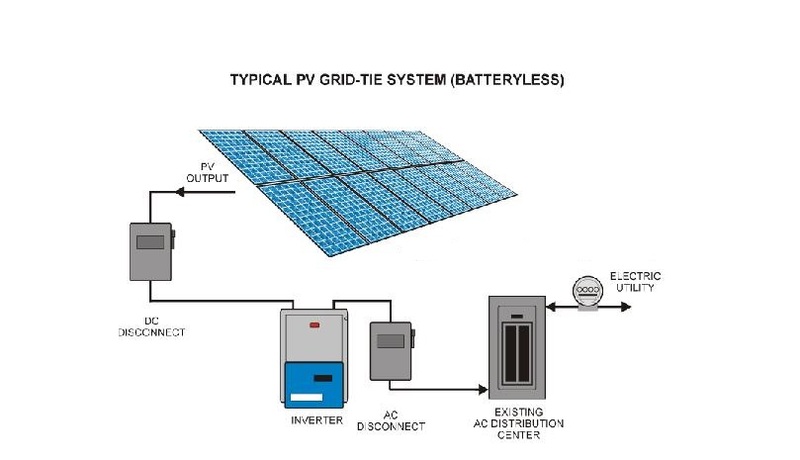 While the system is generating electricity, power needs are provided by the PV system (up to its capacity), reducing or eliminating the power you would have drawn from the utility grid at that time. 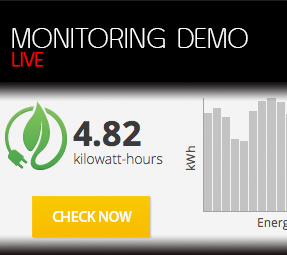 During periods when your grid-tie system is generating even more energy than your site requires, any excess is fed back into the grid for others to use and the electric utility company "buys" it from you at the retail rate. 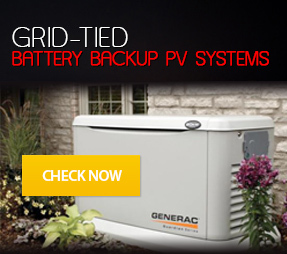 They provide credits to your account for all the power that is pushed back into the grid through the meter. And your meter will literally run backwards! When your site needs to draw more energy than it is producing (say, during cloudy conditions or at night), electricity is provided by the power grid in the normal manner and is first paid for by your accumulated credits.